Stoned Jesus and InshaMuzyka, featuring Robustfellow, present the fifth annual festival of Ukrainian stoner / psychedelic / doom / sludge / progressive / post-rock bands — Winter Mass. The event will be held on Saturday, January 27, at the MonteRay Live Stage club in Kyiv, Ukraine. 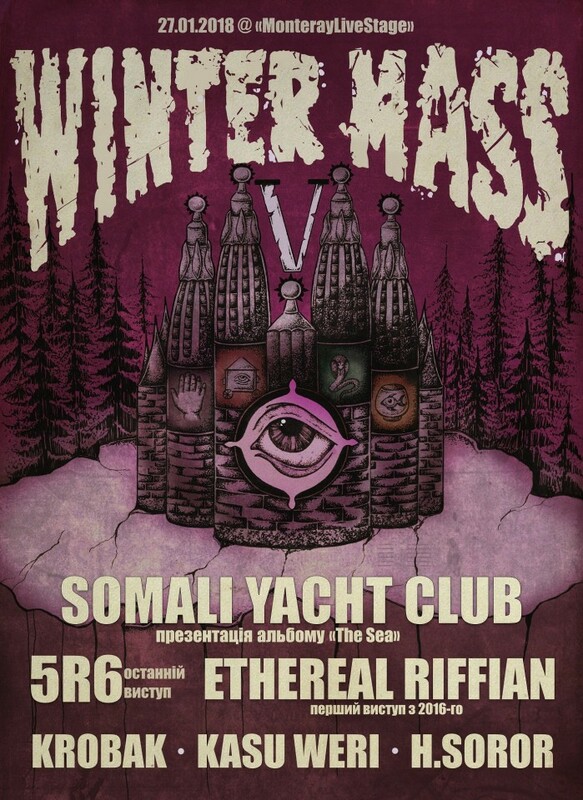 The event’s line-up features the Ukrainian acts H.Soror, Krobak, Kasu Weri, Ethereal Riffian, 5R6, and Somali Yacht Club, who will present their new album "The Sea" at the festival — our review for the latest LP of the Lviv-based band can be found here.